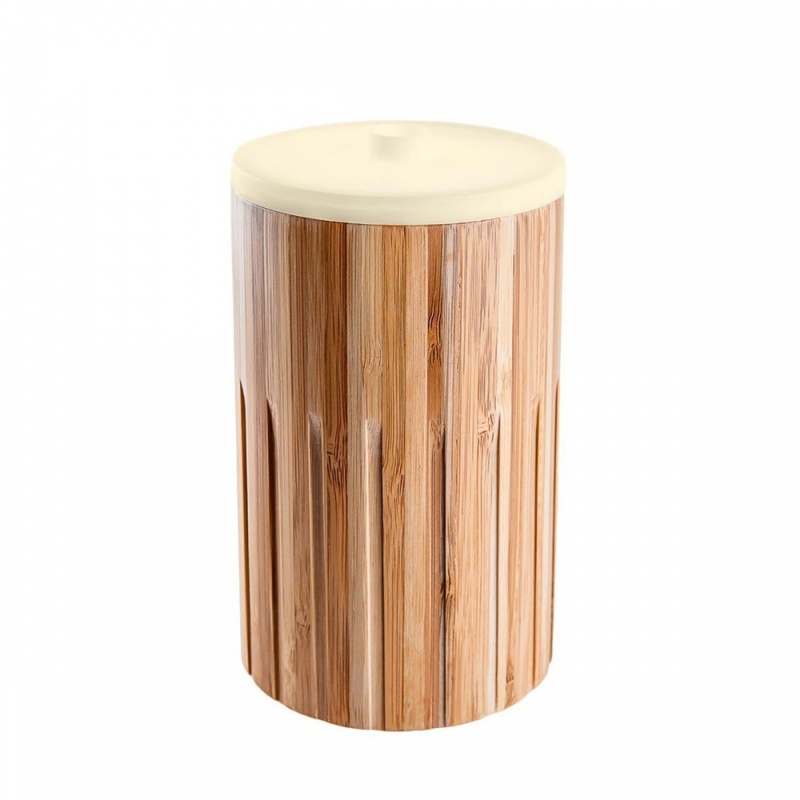 Made By Zen™ Esta Bamboo Cylinder Diffuser inspired by the beauty of Nature utilising carefully selected materials that have the least impact on the environment. The Esta Ultrasonic Aroma Diffuser is the first of a series of stunning diffusers made using Bamboo which is a naturally beautiful material and yet strong and supple enough to allow versatility in design. The bamboo is selected and cut by hand, which allows maturing and flowering strands to remain flourishing. This method has the least impact on wildlife, compared to hardwood logging, which would require the use of heavy machinery. Caring for the planet is important and we are committed to the protection and conservation of the earth as much as possible. 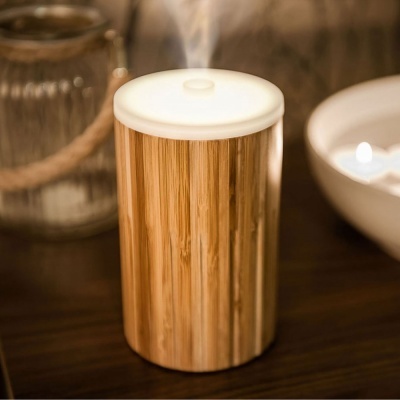 By bringing together the beauty of natural bamboo, highly skilled craftsmanship, stylish design, state of the art ultrasonic technology and Aromatherapy, the Esta Aroma Diffusers is soul soothing and will enhance any living space. Ultrasonic Aroma Diffusers work by breaking up ordinary tap water and (Fragrance or Essential) oils into fine micro particles without heating and gently dispersing this thoroughly and evenly though the air. The Esta is environmentally friendly, featuring soft white LED lighting, which draws only a small amount of power. Other features include an intermittent setting, which automatically controls the Scent Diffusion, by intermittently switching the mist on and off every 30 seconds, ideal for using stronger scents/essential oils. Ambient white LED Lighting, LED lights come in the choice of two intensity settings. Bright Ambient Light or a Subtle Ambient Light.